Andromeda Villas are located in a privilleged location with excellent views of the caldera. In the 59 tastefully decorated rooms, suites and villas you will enjoy your stay in Santorini, with dives in the pool, flavors from the restaurant and excellent facilities. 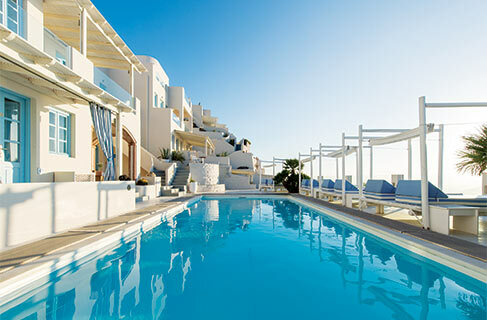 The Gold Suites, a member of Small Luxury Hotels, with 14 luxury suites guarantee a romantic and memorable stay in Santorini.